Total property damage caused by the earthquake close to 5.5 billon USD. 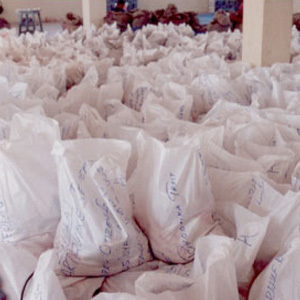 Immediately after the Gujarat earthquake of 2001, Bhoomika Trust coordinated relief supplies from Chennai and dispatched ration kits to provide basic sustenance for a month for families in the earthquake affected areas. Bhoomika Trust partnered with Janpath Citizen’s Initiative of Ahmedabad in the ration kit initiative for families affected by the Gujarat earthquake. Supplies for 1000 ration kits were purchased and packed in Chennai under the supervision of Bhoomika Trust. These kits were later shipped by lorries to Ahmedabad and were received by Navsarjan Trust and Janvikas. The Trust also supported a medical team from Chennai, which went to Gujarat to perform corrective orthopedic surgeries. Members of Bhoomika Trust visited earthquake affected areas of Gujarat. With the help of two local organizations – Anarde Foundation and Kutch Nav Nirman Abhiyan, the Trust identified individuals who had lost their means of livelihood and provided seed capital to help restart their business. The earthquake left the artisans of Kutch without their source of livelihood. They had lost most of their belongings including their raw materials, finished products, work sheds and tool kits. 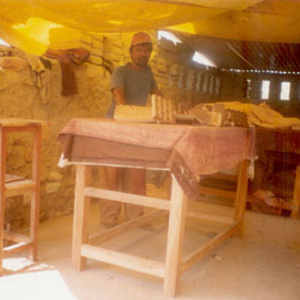 The block printers of the Dhamadka region who lost all assets in the earthquake were one of the worst hit. Bhoomika Trust along with ICA (Indians for Collective Action, USA) mobilized resources towards rehabilitation efforts. Kutch Nav Nirman Abhiyan helped Bhoomika Trust identify block printers of Dhamadka village to receive assistance to help restart their business.